Eating problems are common in children and teenagers. Yet myths about such problems abound and it can be very difficult to separate the facts from popular beliefs; unusual or disturbed eating patterns can be understandably bewildering and distressing for parents. 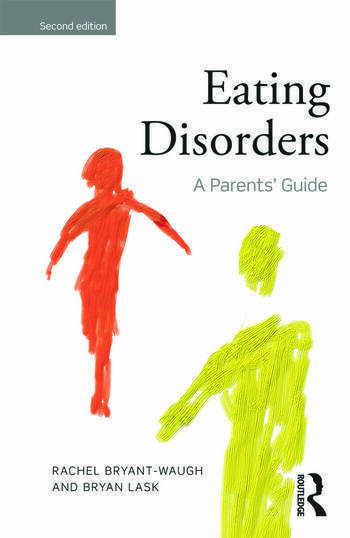 Written by two experienced clinicians, this new edition of Eating Disorders: A Parents' Guide is dedicated to clarifying the subject of eating disorders. Combining an accessible and straightforward introduction to the subject with practical advice, this book represents the first step towards recognising, understanding and dealing with the problem. Introduction. What are eating disorders? What causes eating disorders? How do I know if my child has an eating disorder? What can I do? General principles. What can I do? Specific problems . Who should I consult and what will they do? What about the future? Case vignettes. Rachel Bryant-Waugh is Lead Consultant Clinical Psychologist and Joint Head of the Feeding and Eating Disorders Service at Great Ormond Street Hospital. She is also Honorary Senior Lecturer at the Institute of Child Health, University College London. She obtained a DPhil from the University of Sussex investigating children with eating disorders, and trained as a clinical psychologist in London. She has specialized in feeding and eating difficulties in children for many years, has taught and published widely in this field and is an internationally respected expert. She is the recipient of the 2012 Academy for Eating Disorders Leadership Award for Clinical, Administrative or Educational Service. Bryan Lask is Emeritus Professor of Child and Adolescent Psychiatry at the University of London, Honorary Consultant at Great Ormond Street Hospital and Academic Director at the Ellern Mede Centre, London. He is Immediate Past-President of the Eating Disorders Research Society and recipient of a Lifetime Achievement Award from the Academy for Eating Disorders.